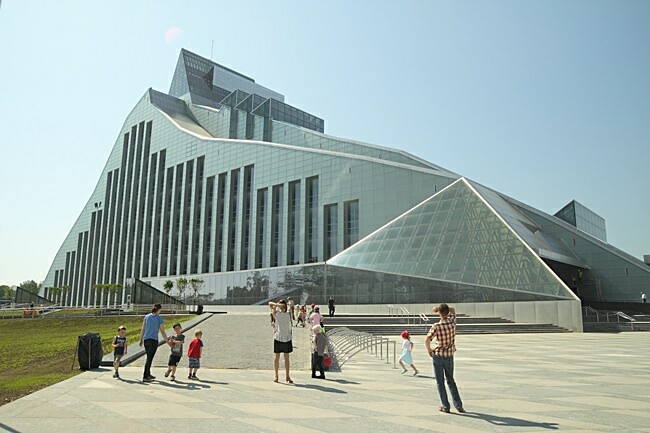 Central building of National Library of Latvia was built in 2014. 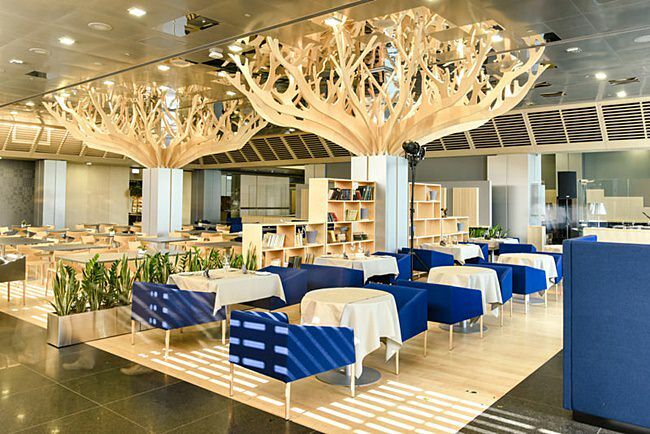 Aafter 25 years old project made by one of most famous Latvian architects Gunars Birkerts. 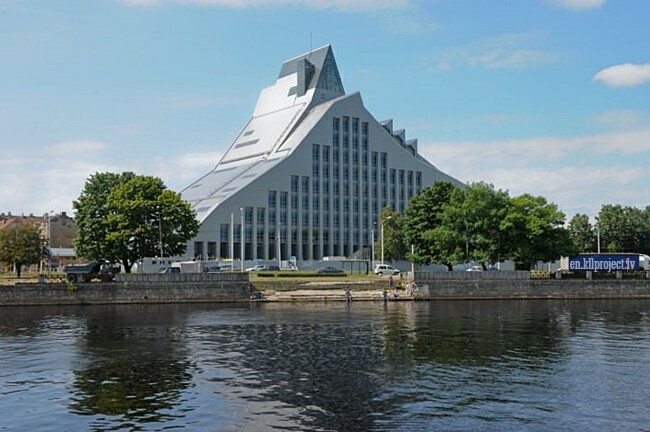 The building symbolizes “castle of Light” as well as “Glass mountain” which is motive in the work “Zelta zirgs” of Latvian poet Rainis. 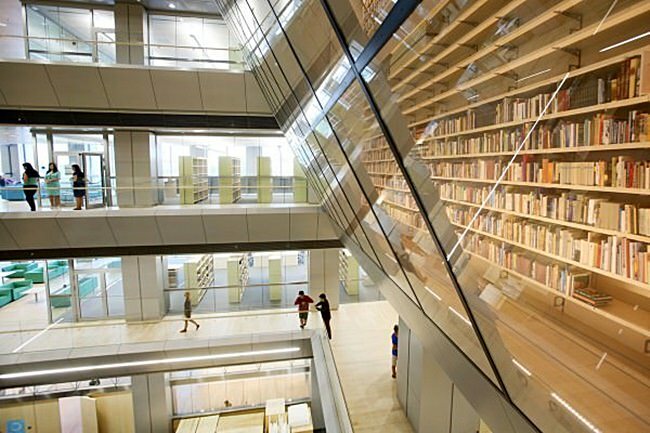 The new library building houses a modern information centre and ample space for cultural and social events, offering one and all multi-themed reading rooms and access to rare books and audio/video recordings besides the usual printed matter. Open to the general public for viewing is the Dainu skapis – the chest of drawers or file cabinet containing the thousands of Latvian folk verse – the wise and witty dainas. A cabinet that UNESCO recognizes as having global significance; included on the register for the programme called World Memory. 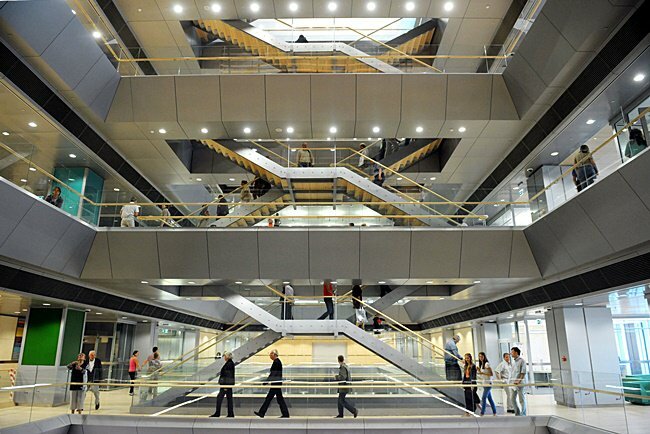 The building is most impressive and largest construction project by Latvia state in 21st Century by now. It’s extraordinary look and shape intrigues and amazes – even after the initial project was reduced in size and also the color of cladding changed from shining white to less impressive grey/blue. Total construction costs were 268 mio EUR. 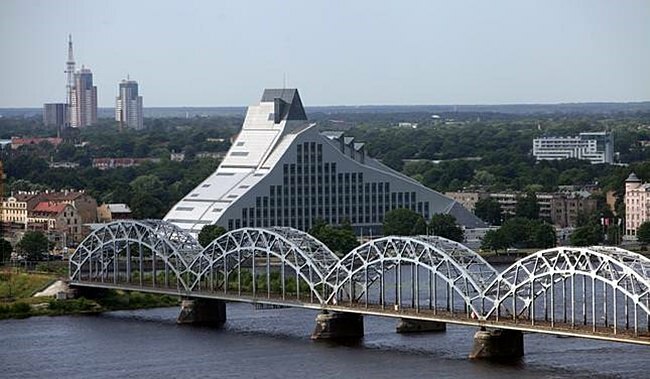 National Library has not only modern reading rooms with windows to Old Riga side offering impressive panorama views but also large conference hall which hosts high-caliber events such as Latvia’s presidency of European Union in 2015 or Riga’s European Capital of Culture events in 2014. When visiting National library, one must remember that all (even smallest) bags are not allowed to bring to reading rooms, so they must be left in lockers next to wardrobe and for that you need 1 EUR coin (which you get back when open the locker). Over four million units are now located here, mostly Latvian publications concerning Latvia and Latvians. 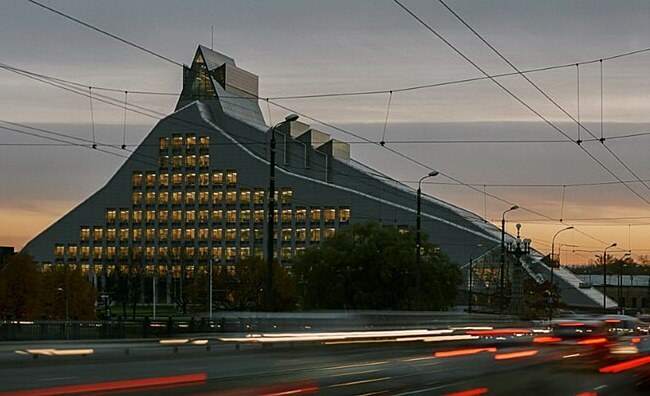 On 15 May 2008, after discussions lasting for many years, the state agency Three New Brothers and The Union of National Construction Companies signed the contract on the construction of the new National Library of Latvia. 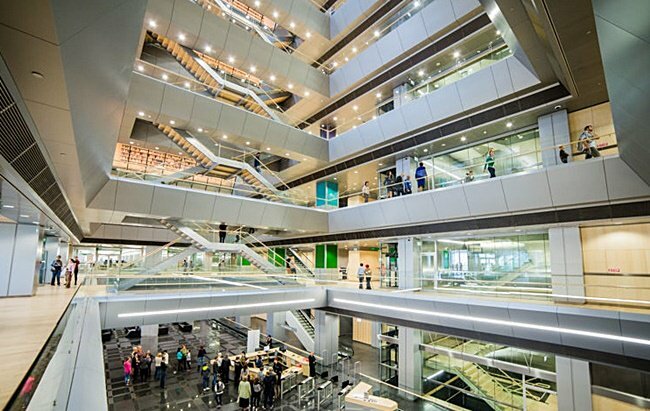 It opened its doors to visitors in 2014. 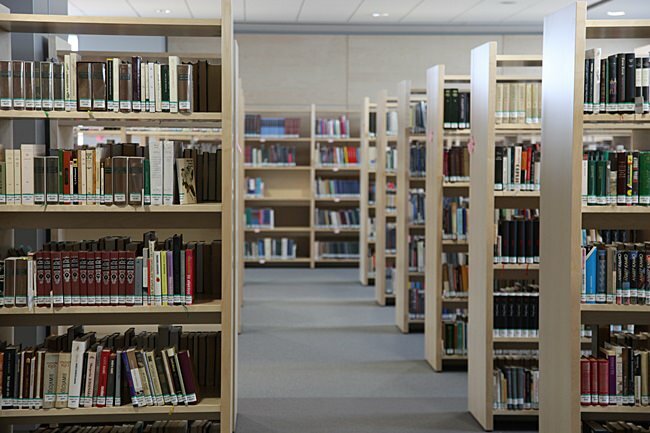 The first discussions about the need for a new National Library had already started in 1928, and the significance of the project of this century was further confirmed by the high-level international recognition. In 1999 almost all 170 UNESCO member states during its General Conference adopted a resolution, calling the member states and the international community to ensure all possible support for the implementation of the NLL project. Informative guided tours for groups Monday to Saturday; prior reservation on workdays /Mon-Fri/ from 9:00 to 17:00; 22022920, or at ekskursijas@lnb.lv. Foreign visitors please note a EUR 2 fee for a tour; groups of 15 – EUR 20. Guides conduct tours in Latvian, Russian, German and English.